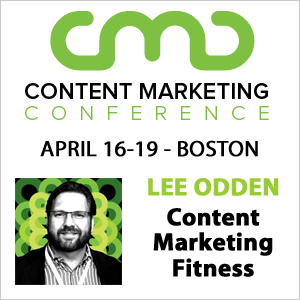 Content marketing and SEO have become more challenging over the last couple years. But why? SEO has become more data driven to help search marketers prioritize what keywords they should be targeting and how to setup a proper strategy. Additionally, the increase in digital competition and investment from companies has had a significant impact. To conquer any keyword you want to rank for, there are multiple steps that you should take as a marketer to see the best return on your investment. SEO still works and is not “dead.” Instead, SEO takes patience and dedication to see the results that you are expecting. There are no silver bullets for search engine optimization. With that being said, let’s go through the steps to rank for competitive keywords. When selecting keywords, it’s important to look at both keyword search volume and competition. Keyword search volume is a metric to help marketers understand the demand. Finding keywords with a high amount of search volume is great, but more search volume generally brings more competition. It’s essential understand how competitive the keyword is before trying to target it on your page. Knowing the level of competition helps set expectations on how long and the effort it might take to rank for the keyword. Most keyword research tools have a keyword competition or difficulty metric to help search marketers find viable keywords. The goal is to find a keyword that has a decent amount of search volume and a lower competition level. 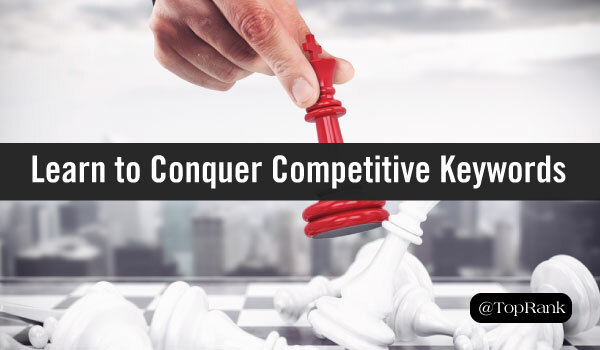 After choosing the keywords that you want to target, you should do a more thorough competitive analysis to see what the currently ranking sites are doing. By analyzing what each competitor and ranking domain is doing already, you can find commonalities to use for your piece of content. Common elements to analyze when doing a competitor analysis are title tags, meta descriptions, H1 heading tags, common keywords used, page authority/external links pointing to the page, content length, pagespeed, and internal links pointing to the target page. Running a competitive analysis on the search engine results pages (SERPs) for a keyword will allow you to understand what elements are important to rank your piece of content. The analysis also helps when you are setting expectations with key stakeholders about the timing on when the piece of content might start ranking/performing to expectations. Content marketers know that creating 10x content is much more difficult than you might initially thing. I want to avoid saying go create great content, because most people don’t fully understand what great content is. Instead, focus on creating content that you are proud of and what you think your audience will enjoy. Each piece of content should serve a purpose to solve problems that your audience is experiencing. 10x content doesn’t only have to be blog or page content. Start thinking outside the box with videos, infographics, interactive eBooks, or podcasts that can also be optimized. By focusing on other types of content you can create more engaging content for your audience. Once you publish your 10x content, make sure you slot time to come back and review how it is performing in search. Use a tool like Google Search Console to see what search queries the page is getting impressions for to either reoptimize or rewrite the content to get even more visibility. After creating your piece of 10x content, you will need to add relevant internal links to the page from historic content and new content that you publish. When creating supporting content, make sure you avoid cannibalizing your keyword targets to avoid a reduction in organic performance. To build evergreen content, focus on creating a hub of content. To create a hub you should identify a pillar page that is the key focal point for the topic. Your pillar page should be the authoritative piece of content that consistently ranks for multiple keywords. The page is supported with other pieces of content that internally links back to the pillar page to get more internal authority. SEO is not a promotion tactic. Publishing content and hoping that it ranks is not a viable strategy for marketing anymore. Instead, the content needs to have some level of promotion, which could include paid/social ads, social promotion, and getting external backlinks to the page. Each channel is an important part of gaining exposure for your piece of content. Generally, a small paid campaign can help you analyze how the content is performing with your selected audience sample. From the paid campaign, you can gain valuable insights into whether the piece of content is engaging to users. Another important SEO aspect to focus on is receiving external backlinks to your content. External backlinks are still an important ranking factor for SEO and needs to be thought about when creating your strategy. A couple ways to get external backlinks is to leverage the Skyscraper Technique (coined by Brian Dean) and signing up HARO. The Skyscraper Technique is when you create better content than your competitors and reach out to the sites linking to your competitor’s content to get backlinks to your piece of content. You can also sign up for HARO to help reporters answer questions related to your industry or piece of content. Even though content marketing and SEO have become more challenging, there is still a lot that can be done to garner great results. Instead of creating more content, focus on creating better content that you are proud of. Take the time to analyze the keyword competition and competitive landscape before drafting your content to set yourself up for success. Then create your 10x content and promote it to see the best organic results. The good news is that TopRank Marketing is ready to help you if you are struggling with your SEO strategy and content planning.